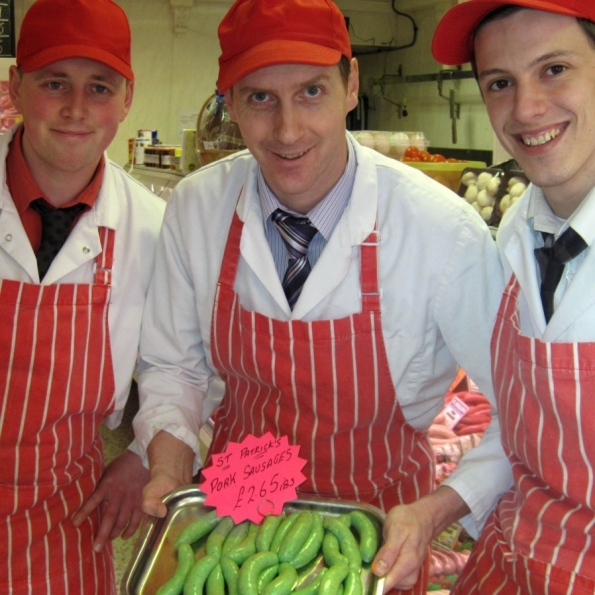 When staff at the Charlie Mallon’s butchers in Portadown decided to produce St Patrick’s Day themed sausages, they never thought the recipe would prove to be so popular. “It was a bit of a gimmick,” butcher Robin Hunniford told the Portadown Times. Shoppers snapped up several pounds of the emerald bangers when they added some green food coloring to their home made sausages. “The feed-back from the customers is that they really enjoyed them. “They sold like hot dogs!” he added.